Craig and I were hungry so I suggested this place I had often passed and wanted to try, mainly because they were related somehow—I forget how—to one of the best Chinese restaurants in Fort Lauderdale. Started with a dour order taker who aside from not being able to bother a new customer with a smile was tongue tied when it came to suggestions. 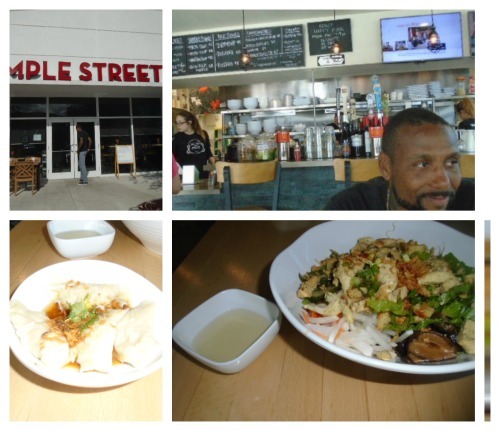 We both ordered the Buddha Bowl with lemongrass chicken ($11) and a soda ($2.50) plus 1 appetizer of chicken dumplings ($4). The appetizer came after we were halfway through our main course and was absolutely tasteless. Regarding the main course, was it suppose to be hot? Cold? A salad? I really don't know as it was more or less served at room temperature with a cold fish sauce. The bill with tax came to $32.86 At that price for the food served and lack of interaction from the staff I see no reason to go back. One more restaurant to forget.